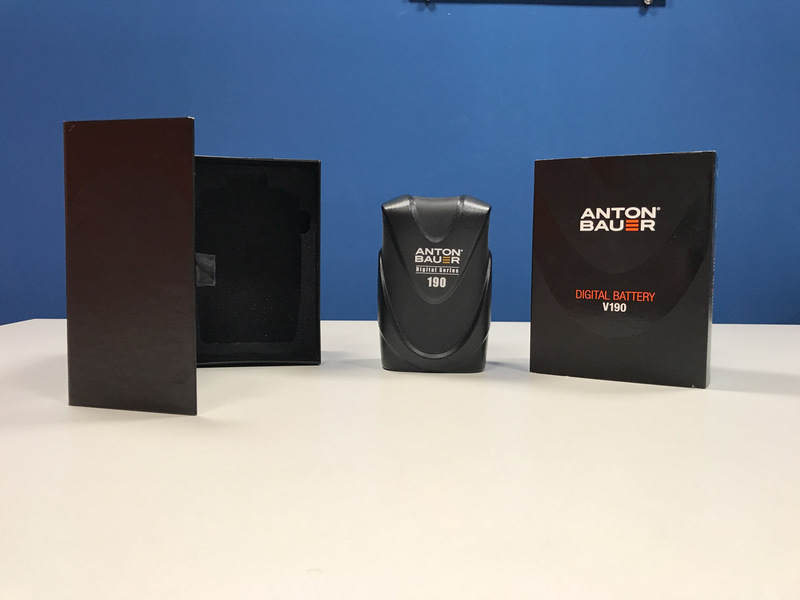 The Anton Bauer Digital 190 V-Mount Battery (14.4V, 190 Wh), along with the rest of the Digital Battery Series, represents a major makeover for Anton Bauer, featuring a redesign in several aspects over previous series. The result is a long-lasting, sleek and ergonomic, smart, and safe series of batteries, projected for 1000 charge/discharge cycles, and this one, along with two relatives, are the first for Anton Bauer in a V-mount. 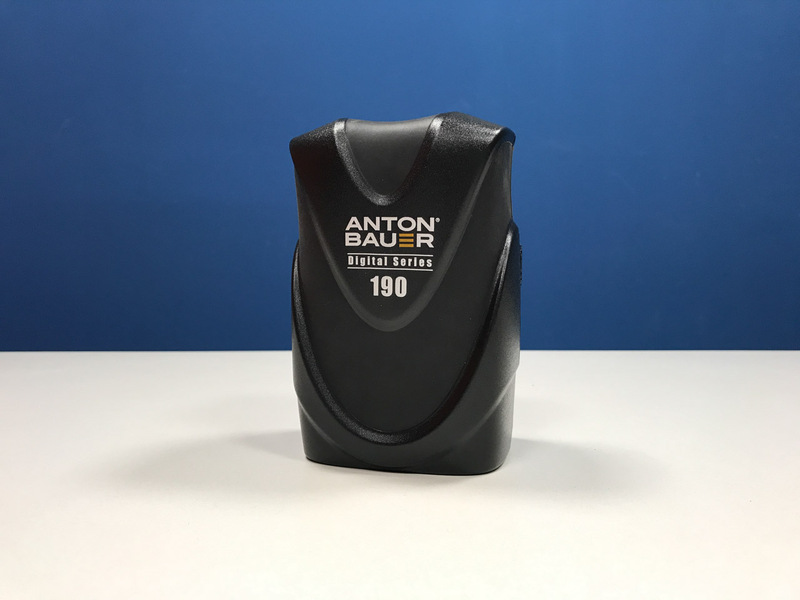 The Digital 190 runs on lithium-ion Sanyo cells which Anton Bauer has found to be highly reliable for them in the past. 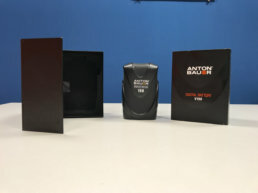 One of the major changes is a reconstruction of the honeycomb interior, built very spacious and housing the cells physically separated from one another, each individually wrapped in its own plastic case and isolated from the others. This ensures that any potential damage to one cell will have no effect on the others, huge for safety. 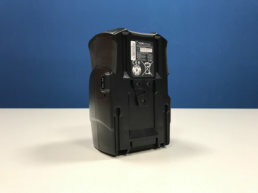 The additional space in the honeycomb also serves to allow more airflow between the cells, effecting more heat dissipation, which will keep the cells cooler and protect them from aging faster.